Huge Savings Item! Free Shipping Included! 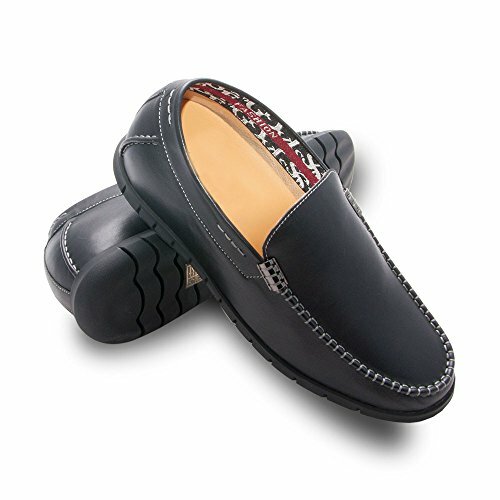 Save 18% on the ZERIMAR Height increasing elevator shoes for men.Add +2,4 inches to your height. Quality 100% leather shoes. Made in Spain(Black, 40 EU/US 8 ) by Zerimar at SCRHI. Hurry! Limited time offer. Offer valid only while supplies last. Zerimar shoes appear to be average shoes but they hide a secret. These shoes are designed to discreetly increase your height. No one will know. Please we aware that Zerimar shoes size are not the normal shoe sizes. You can find the size conversion in the table at your left.